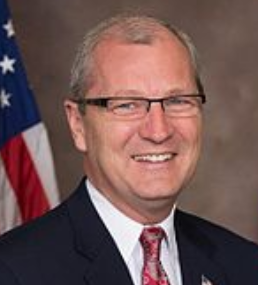 To volunteer, visit kevincramer.org and heidifornorthdakota.com. To download a printable pdf version of this guide, click here. Heitkamp – Mostly legal. “Reproductive decisions should be left to a woman, her family, & her doctor.” But opposes public funding & supports state’s right to mandate parental consent for minors & to restrict partial-birth abortions. Cramer – No. Considered prominent skeptic. Has called climate change a religious belief. Heitkamp – Yes. Voted for the amendment saying climate change was real & serious. Cramer – No. Roll back automotive fuel standards. Called EPA greenhouse gas regulations “arbitrary & capricious.” Paris Accord was a terrible agreement. Heitkamp – Mixed. Criticized Obama Clean Power Act, pushed for carbon sequestration research so could keep using coal & gas. Supported Paris Accord participation. Cramer – Yes. Requiring contraceptive coverage infringes upon religious freedoms. Heitkamp – No. Keep ACA requirement that insurance plans provide non-copay contraception. Courts: Support President Trump’s Supreme Court nomination of Brett Kavanaugh? Cramer – Yes. A great nominee. Supports states rights against federal overreach. Even if Ford allegations true, 36 years ago, so not sure it disqualifies Kavanaugh. Heitkamp – No. Would have confirmed, but “deeply disturbed by…lack of judicial temperament & impartiality,” including his angry response when asked about drinking. Also influenced by experience dealing with sexual assault victims. Cramer – No. Opposed stimulus investment. Some support for infrastructure. Heitkamp – Yes. Supports strong infrastructure spending for areas like roads. But also concerns about the deficit, feels both parties have ducked the issue. Cramer – “I would prefer a more measured approach.” But they are “the one tool [Trump] has,” so support them & present a united front for negotiations. Heitkamp – No. They “severely limit our ability to build the international support need to keep China in check.” Retaliatory actions will hurt North Dakota. Cramer – Yes. Supports DC voucher program & charter schools. Financial Regulation: Support reining in Consumer Financial Protection Bureau? Cramer – Yes. Considered it regulatory overreach. 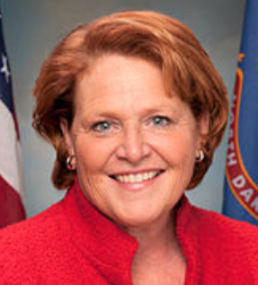 Heitkamp – Eased financial regulations for smaller banks, but opposes further easing rules. Cramer – Full repeal. “An insult to the Constitution & the conscience.” Would require covering patients with pre-existing conditions but let insurance companies charge more for them. Heitkamp – Support, but improve. “Everyone should have access to affordable, quality care,” whatever pre-existing conditions. North Dakota families need the same quality care that helped her beat breast cancer. Cramer – No. Co-sponsored bill to defund. Heitkamp – Yes. Voted against numerous bills aimed at defunding. Immigration: Support path to citizenship for “DACA” recipients or “Dreamers,” who grew up in the US after being brought here as children? Cramer – No. DACA was “unlawfully put together.” Recipients must return to home country before applying for citizenship. Heitkamp – Yes, with conditions. Voted for several bills coupling with border security increase, & in one case with restrictions on legal immigration. Iran: End treaty limiting Iran’s nuclear capability for lifting economic sanctions? Marijuana: Support ND ballot Measure 3 that would legalize adult recreational use. Heitkamp – Up to voters, some concerns on access by children. Urged administration to respect North Dakota’s medical law. Minimum Wage: Raise the federal minimum wage from the current $7.25/hr? Cramer – No. Reducing regulations is a better way to improve job opportunities. Heitkamp – Yes. Co-sponsored 2014 bill to raise to $10.10/hr. Net Neutrality: Support Net Neutrality rules requiring equal access to all users? Cramer – Praised FCC ruling ending Obama Net Neutrality rules. Said other ways to protect the internet. Heitkamp – Yes. Strong supporter. Voted to reverse FCC repeal of net neutrality. President Trump: Percentage of key votes (as of September 2018) supporting Trump’s positions while in office? Cramer – Early & vocal supporter: Voted with Trump 99% of time. Cramer – Yes. Advocate for private sector options. Cramer – No. Incentivize US fuel production. Let green energy tax credits & deductions lapse. Heitkamp – Advocates an all-of-the-above approach that includes tax incentives for renewables, particularly wind power. Cramer – Rejected this approach. Favored tying to interest rates. Supported end to student loan interest deduction. Heitkamp – Yes. Introduced related bill. Challenged Dept of Education possibly revoking public service loan forgiveness. Heitkamp – No. Will add $1.5 trillion to national debt & provide no real relief for middle-class families or small businesses. Voting Rights: Support stricter voting rules like voter ID requirements even if prevent some people from voting? Cramer – Unknown. When asked about ND voting laws, deferred to state Republican Party for comment. Heitkamp – No. Has criticized unnecessary voter ID laws in ND that “clearly target” Native Americans & students.